Flowers have finally begun to replace the snow of winter (or rain here in the northwest), and the days are getting longer. Now it’s time to celebrate spring. In my house that means it’s time for Passover, a holiday that embraces the spring as well as the blessings of freedom. One of the traditions of Passover is to remove all food made from one of the five grains (wheat, rye, barley, oats, and spelt) and replace them with matzah. Some Jews eliminate other foods from their diets as well, but in our household we limit it to the five grains. As a child, avoiding foods made from the five grains seemed like shear torture, but now that I live in a mostly gluten-free household, it’s no biggie. Our gluten-free journey began when my oldest son was diagnosed as gluten-intolerant. Then my husband was encouraged to avoid all grains when he began suffering from arthritis. Interestingly, not only has his arthritis improved since he eliminated grains from his diet, his cholesterol levels dropped despite a diet rich in animal protein. I am not gluten-intolerant so up until recently I continued to eat gluten. However, I do suffer from debilitating migraines, and I’ve read a number of studies showing a connection between migraines and gluten. So I too have jumped on the gluten-free bandwagon. Lucky for me, most of the tribes on Awan do not grow wheat, so when I design recipes it’s easy to make them gluten-free. This month’s tribe, the Sakhar, live in the southern part of Awan; far enough south to have palm trees, which means they use my favorite flour, coconut flour. Today’s recipe is my gluten-free version of a classic spring, and classic Passover, dessert—the sponge cake. 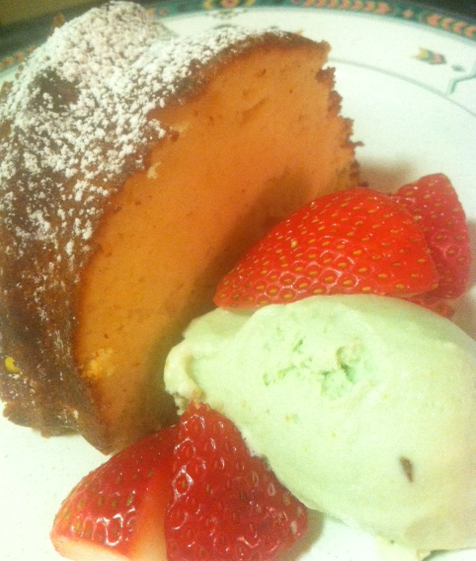 It’s a simple recipe, simple but delicious! 2. 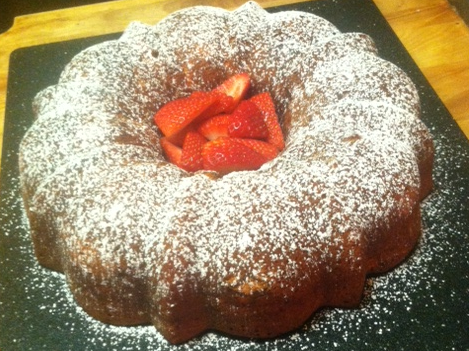 Grease a bundt pan or a 9-inch tube pan. If you use a flat-bottomed tube pan, grease the bottom of the pan, line the bottom with parchment paper, and then grease the parchment paper. This will enable the cake to slip out of the pan easily. 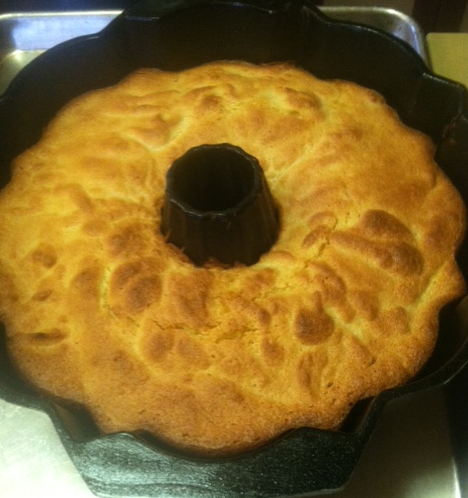 If however, you choose to use a bundt pan (which I think is prettier), just grease the pan thoroughly. 3. Separate the egg yolks and whites into separate bowls. 4. Use a fine grater to zest the lemon rind, and then juice lemon. 5. Beat the egg yolks well with a fork and add the lemon juice and zest to the yolks. 6. Add the salt to the egg whites. Beat with an electric blender until very stiff. The whites will begin to look lumpy. 7. 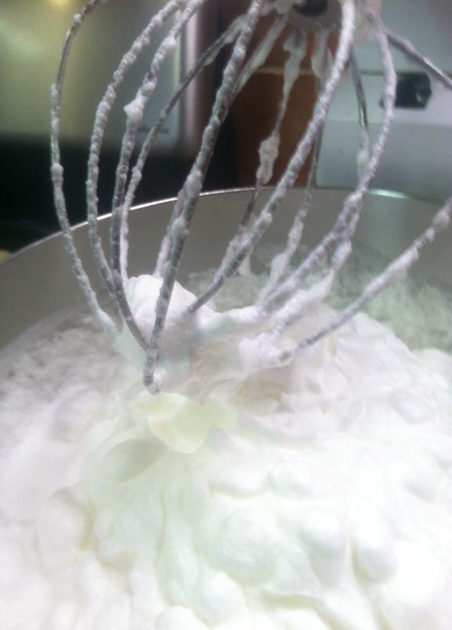 Gradually add sugar to the egg whites in small additions, and beat after each addition. The mixture will become smooth and will have a nice sheen. 8. 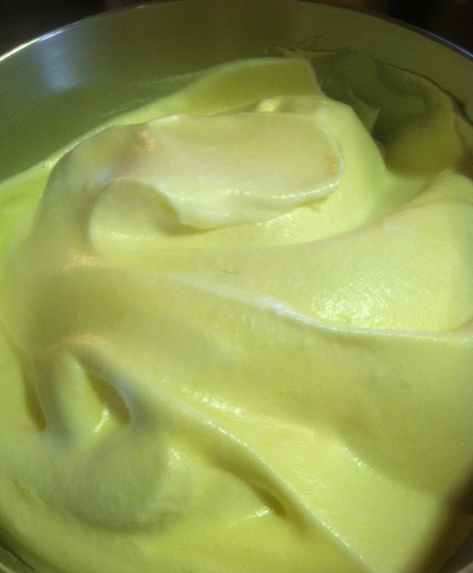 With a large spatula, gently fold the egg yolk mixture into the egg whites mixture. Add one to two tablespoon(s) of coconut flour at a time to the egg white/egg yolk mixture and gently fold in with a spatula after each addition. 9. Pour mixture into the prepared pan and bake for 40-50 minutes, or until a tester comes out clean. 10. Allow to cool for few minutes before turning out onto a cooling rack. Once the cake is completely cool, dust it with powdered sugar (or even cocoa powder) to serve. I made your Sakhar recipe in the form of cupcakes for our second Passover seder, and everyone loved them! Thank you. I’m so glad to hear that, Melissa. Thank you for letting me know.